Sleep soundly on our Gel Infused Memory Foam Beds! 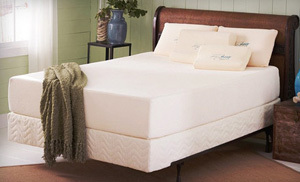 Memory Foam mattresses relieve aches and pains caused by pressure that occurs while sleeping. The Memory Foam contours to the shape of your body, allowing a more even distribution of pressure that leads to longer and better sleep. Memory Foam conforms to your body and provides support of your spine and joints and eliminates pressure points that occur while sleeping. Memory Foam increases the maximum length and quality of your sleep. Memory Foam Mattresses help insure that the spine is properly aligned while you sleep. Memory Foam resists motion transfer, allowing you to have a good night's rest even if your partner is tossing and turning. Gel-Infused Memory Foam is measurably cooler than first generation Memory Foam and provides superior support, pressure relief and tensile strength. 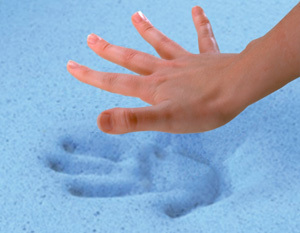 GEL-Infused Memory Foam includes all the benefits of traditional memory foam. Air flow is increased because the air is allowed to escape. This leads to a cooler sleep. The GEL provides balanced support so that you don't sink too deep, or lie too shallow as you sleep. 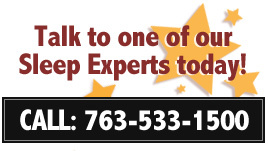 Stop in to our Sleep Concepts showroom today to experience our full line up of Gel Infused Memory Foam Beds, and Accessories.